The DKT EDFA/EYDFA series is a rack-mountable integrated amplifier module and power supply. 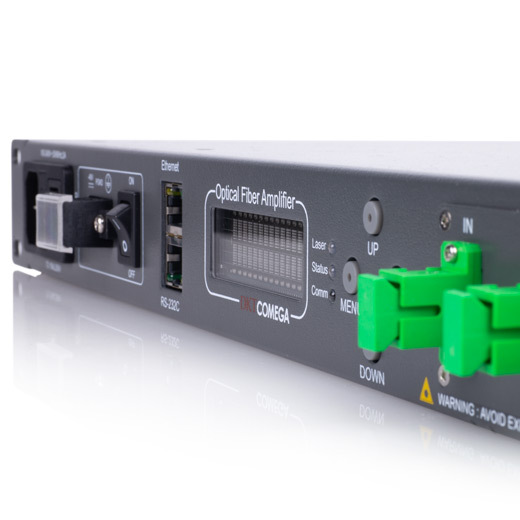 It has been designed for use in CATV and metropolitan network applications and Passive Optical Networks (PON) where stand-alone operation is required. It is also ideal as a booster, line or preamplifier. The amplifier provides very stable optical outputs over a wide range of operating temperatures and this with low power consumption. 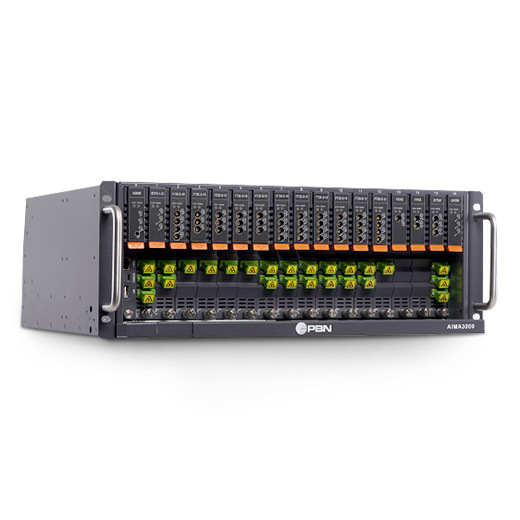 It is internally supported with input and output isolators for system stability and optimal performance. The amplifier incorporates electrical control circuits with DSP. This includes photo diodes for monitoring the optical input and the output power through tap couplers. The amplifier has versatile functions and its status can be monitored from the LCD on front panel. 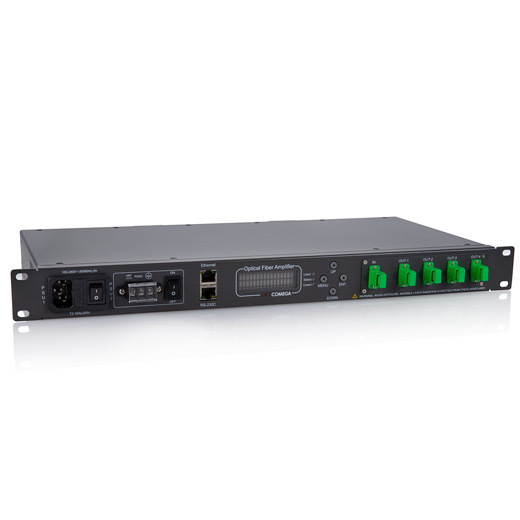 The amplifier can also be operated from the front buttons and can be monitored and controlled via SNMP. Have you seen our other RF/TV active products?